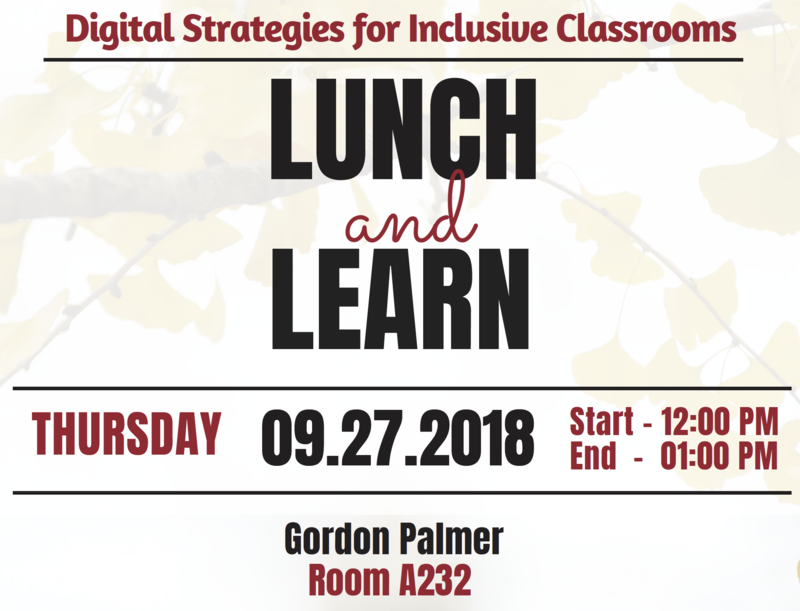 We are pleased to invite you to the Digital Strategies for Inclusive Classrooms Lunch and Learn. Attendees will hear from the faculty and staff attendees the Digital Pedagogy Lab Summer Institute and will have opportunities to share interests and possible next steps for promoting inclusive classrooms through critical digital pedagogy. Sponsored by the Office of the Vice President for Diversity, Equity, and Inclusion in collaboration with Learning in Action, the Teaching Hub, and the Faculty Resource Center.